We carefully select the products and designers that we love, and this chap is one of our favourites. Today, the spotlight shines on the incredibly talented Charles Dedman. A designer who shows great mastery of both traditional hands-on manufacturing, that blends perfectly with computer aided (CNC) wizardry. Whilst on a school trip in 2016, I met Charles and my eyes first gazed on the stunning marquetry of his Zapotec Cabinet. From that point, I would always keep an on eye on his achievements, and in the years since, he has climbed right to the top of the contemporary design ladder. Mr Dedman is definitely one to watch. I was lucky enough to meet Charles and see the Zapotec in the flesh whilst on a school trip to the New Designers exhibition at the Business Design Centre a few years back. I was blown away by the considered geometry of the laser cut veneers and the hands-on precision with which they had been put together, the perfect modern day marquetry. Using CNC certainly makes the preparation easier, but the overall balance of complex shapes and negative space is very pleasing on the eye. I can say from my own experience of marquetry that piecing together complex veneers is a tricky and time consuming process. Following Charles on Instagram is real joy, especially if you’re interested in seeing behind the scenes into how his objects are made. He does an excellent job of breaking down the making process so it is easier to understand. You will see that he has had great, and well deserved, success for the innovative dowelled Turner Chair. Prototyped in the studio, now the chair is batch manufactured by an external company but the process is still very hands on. Check out his Instagram feed for a closer look at how they are made, or just marvel at the product in general. Dedman has undertaken an array of different jobs and commissions like these angled side tables made from rich walnut and ash wood. They come as one overall table or can be split between a husband and wife, or even twins, as two individual side tables next to a bed. What a cool and considered idea. Moving from designer/ maker to a designer is a tough step for person who loves their craft. After years of building up the skills to make objects by hand, the objects that'll make your name, to build a brand you'll inevitably hand over construction to a company or computer process. Being able to scale up the manufacturing of a product is key to any businesses growth. Dedman documents this transition well, learning and understanding that to be commercial a certain amount of outsourcing is key, otherwise the designer would never have the time to dream up their next big thing. Facing the honest reality of building a brand in an increasingly competitive and commercial design sector must rely on modern tools. Craft isn't dead but it's a shrinking part of the design process. A nice example of complex geometry that balances precision-angled walnut with the airy balance of a marble disc that rests on the top. The combination of solid structure below and delicately textured marble is a real pleasure for the eyes. A great example of form following function, a study desk with storage sections built into the table allowing a quick swap between the full flat table and easy-to-access storage. You'll see a sneaky cable climbing up one of the legs, this is a small built-in light box for those pencil tracers. The wooden top is held together by folded steel legs that add a little industrial charm to the otherwise warm and woody finish. So named after a Portuguese forest where the cork is grown, the Montado is the perfect combination of sustainability and function. 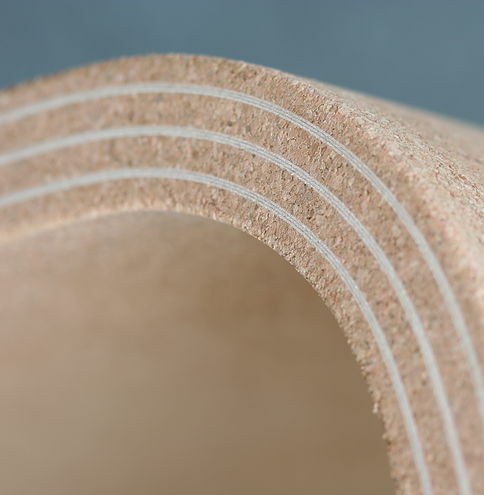 The piece utilises the playful, warm qualities of cork with the utilitarian function of plywood. 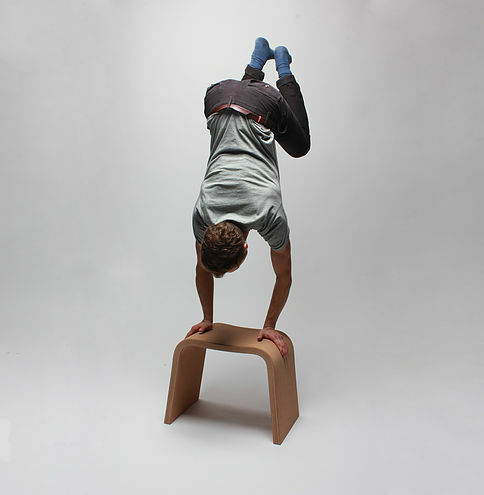 Together, they form a simple high performance stool that looks great and can easily support a dude doing a handstand. Bravo! If you didn't know Dedman, I'm sure you'll agree he is one to watch. I have been really inspired by Dedman as I share an infinity for good materials that have been processed with skill and attention to detail. His balance of craft and computer is the perfect template for a modern design brand and Ali and I will definite look to Dedman when we start to build our own company. If you'd like to find out more about is projects then head over to his website and social media. Budding designers should definitely take a gander at his Instagram page to.